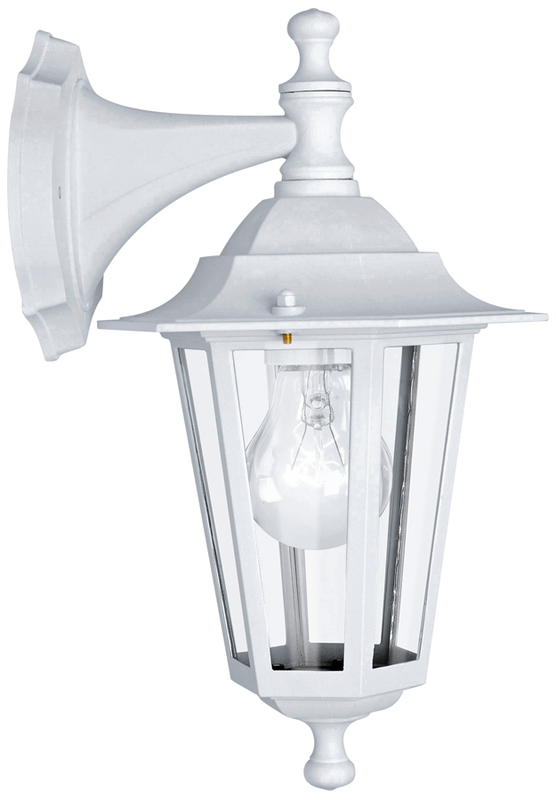 A traditional white finish cast aluminium IP33 rated outdoor wall light, with a downward facing lantern and clear glass lantern panels. 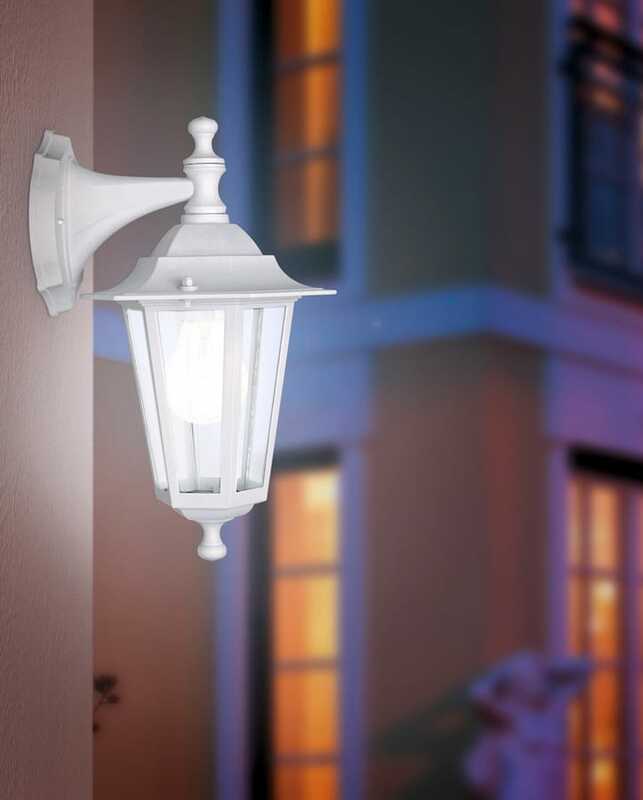 From the Laterna traditional outdoor lighting range. Three year finish guarantee.